I wrote this blog last year before I took my friend Mallory McClelland’s amazing and powerful class Awaken the Healer Within. I can’t tell you what a wonderful and transformative experience the class was. This past year has been one of the most challenging (in a life filled with challenging years) I’ve ever had, and I’m not at all sure I would have made it through without the confidence and peace of mind, not to mention help and support, gained from participating in this class–my healing circle. If you have been thinking about trying some form of energetic healing for yourself or your family, I urge you to take advantage of this class. It’s the last time Mallory will be offering this material in this format. If you’ve been with us for any length of time, you probably know that we here at TMR encourage parents to listen to their “mommy gut” or, as it’s more generally known, their intuition. As security expert Gavin de Becker points out in his two books The Gift of Fear and Protecting the Gift, that intuition, more than anything, is what protects us times of danger, and learning to hear it can make the difference between life and death. We all have that inner guidance system, but for many of us it can be extremely difficult to hear. Most of us have been told from the time we were children to ignore that voice and listen to outside authorities instead, starting with our parents and teachers and ending with our bosses, doctors, and politicians. Most of us have gotten so good at suppressing that twinge of rebellion or alarm when we’re told to do something that feels wrong that whole societies have gone way off-track. In For Your Own Good, Alice Miller makes the case that the cruel child-rearing practices of early twentieth century Germany, intended to break the child’s spirit as early as possible, led to a society that was capable of sending 6,000,000 Jews to their deaths in shockingly cold and inhuman ways—a whole society where “ordinary people” were able to successfully stifle any inkling of empathy or human decency for years at a time. Nazi Germany is an extreme example, of course, and most of us aren’t that cut off from ourselves and our humanity. But virtually all of us have some residual old programming that gets in the way of living our lives authentically. What does this have to do with healing children you ask? Much more than you might think. 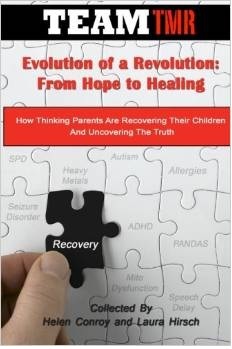 In our society, despite the fact that we are explicitly told by medical “authorities” that we should ignore our mommy gut in favor of “science,” (which science is unclear; medical authorities seem unaware of the extent to which science conflicts), we cannot count on the mainstream medical community to know how to heal our children. Medical schools simply do not teach doctors what they need to know to reverse or even ameliorate chronic conditions like autism, ADHD, asthma, and autoimmunity. Many of us find that even as our doctors do not address our concerns and have no answers for us, our children get progressively sicker every time we take them in to see them. This can be both frustrating and infuriating. If we look at the evidence in front of us objectively, the people who are supposed to be helping us are often worse than useless. As parents, we eventually learn we are on our own. That can be terrifying as so many of our children are very ill. Where on earth do we start? We start with the parents who have gone before, the parents who are already in touch with their innate wisdom, who understand the peculiar symptoms and behaviors that their children exhibit. Those other parents help give us the confidence to begin to trust ourselves too. And sometimes, once people begin to trust themselves, they find it easy to help their children regain their health and happiness. But more often than not, parents encounter roadblocks, some of them huge, that can serve to derail their confidence and hope. In those situations, parents often reach for other kinds of help. In a tradition that goes back to Edgar Cayce, more and more people are turning to medical intuitives, psychics, or energy healers when they don’t know what their next step should be. 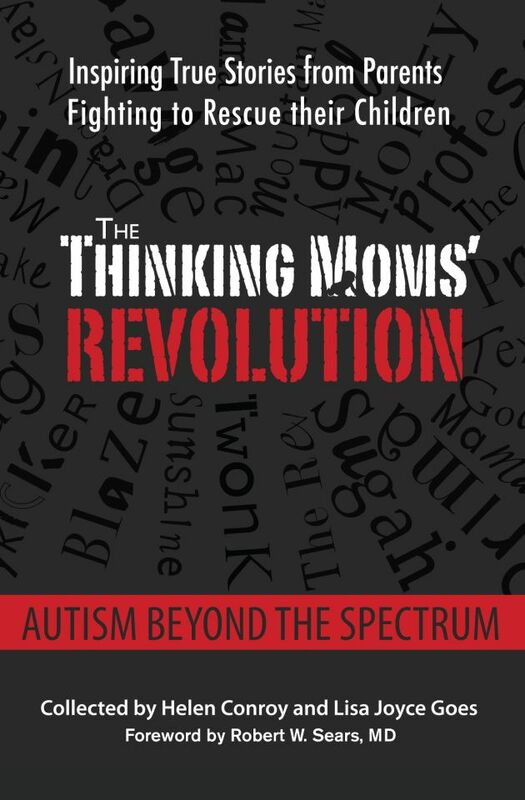 While no one person can have a 100% track record in helping people to get well, many people report great results from such consultations, and that includes many of us here at the Thinking Moms. We don’t tend to discuss these activities much on our website, but some of us Thinking Moms have been exploring this area for several years now. The reason we don’t usually discuss it is because we are aware of the mainstream bias toward what we can see with our eyes and feel with our hands. It’s not that we care if someone else believes they happen or can happen—we have seen enough evidence often enough to know they happen—but because we haven’t wanted to derail the important conversations we’ve been having. Times are changing, however, and we feel that it is time that an understanding of the spiritual and energetic sides of healing become the conversation. I’m going to give you a small example of how we know that the phenomenon we’re talking about is real: A friend’s stepfather was in the hospital with horrible pain and was scheduled for gallbladder surgery the next day. She asked a group of us to send whatever we had in the way of healing to this man. When I “tuned in” to him, I could feel what was going on in his body, and after I had done some healing “work,” it occurred to me that he did not need gallbladder surgery. I mentioned this to my friend who said, “Oh the surgery is a done deal. It’s all set for the morning.” But the doctors must have run more tests because the following morning she reported that his doctors had cancelled the surgery; he didn’t need it after all. I breathed a sigh of relief. Yes, I’m well aware that’s “anecdote,” but it’s exactly the sort of anecdote that is piling up among my friends, friends who are becoming more and more aware of their own ability to tune into what we need in order to heal. And, frankly, not everything requires a randomized, placebo-controlled double-blind trial to be useful. Even for people who are getting pretty good at this sort of thing, though, most of us have a lot to learn. I find that when it comes to my own health or that of my children, I have a more difficult time sorting out the signal from the noise. In an effort to change that, I recently participated in a five-day “Mother’s Intuition Challenge” run by intuitive healer and friend, Mallory McClelland. Mallory is one of those people that even some of my highly intuitive friends have on speed dial because she is so good at putting her finger right on the next issue that needs to be addressed to move our healing forward. And while that’s great for Mallory, she has bigger designs. This five-day challenge was a free introduction (that is still available of Mallory’s Facebook group) to a longer seven-week class, called Awaken the Healer Within (starting on October 10). Mallory’s mission is to help the average person get in touch with their own intuition and awaken their own ability to heal, those of us who are not yet quite comfortable enough or confident enough to trust ourselves all the way. Then, none of us need to be dependent upon anyone outside ourselves for the answers, and isn’t one of our main goals? Paradoxically, one of things that makes me so comfortable with Mallory is how much she fosters community and interdependence, two qualities that we will need in great supply in order to weather the literal (Harvey, Irma, Jose, Maria, etc.) and not-so-literal storms ahead of us. Anyone who’s been paying attention knows that the Earth is in desperate need of a gigantic healing circle made up of as many empathic women (and their friends, partners, and loved ones) as we can enlist from all over the world. Women who are strong, loving, grounded, courageous—and determined. We are all on our own individual healing journeys, but we are also, by necessity, participating in a huge world healing project. While we need to be able to find and trust our own authentic inner voices, true healing requires relationship and collaboration, and healing the world will require a degree of collaboration the world has never seen before. We must learn how to honor the healer within and work with all the other healers at the same time. There is no one who understands this more than Mallory. 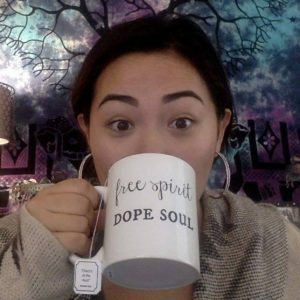 She runs a Facebook group called Soul Driven Healing, where she is consistently generous with her time and money, while at the same time knowing the value of that time. Mallory exemplifies the divine midwife energy, if you will, that we will need to help us give birth to a new age of win-win interdependence. Day 3 of the challenge, we did automatic writing. We were to call in our grandmothers and write down what we got from them. Given that I write so much, you might think this would be easy for me. It isn’t. When I write I’m often “in my head,” and it’s the exact opposite when I “tune in” to another’s energy. Putting the emotional and physical sensations that I receive into words on a page can feel impossible. So I approached this challenge with a bit of trepidation. How would I get words from either of my grandmothers? One I had never known, and the other I could only remember meeting two or three times in my life and she was so deaf I had had to shout my name to her. Dear Grandma, I have no clue what I’m doing. . . So sad . . . (deep sobs). Loss, so much loss. I can’t hold on to my baby boy. He’s gone. So much loss. Heart hurts. Head isn’t clear because loss isn’t cleared. Need comfort, wrapped in blanket. How do we heal this? How do we become whole again? Joy. Reaching out. Breathing deeply into the pain. Feel it and let it go. Let it wash through you. This is the feeling of lack, the feeling of poverty. You can lack for nothing more than your child. The fear of loss is about the loss that has not healed. But so much has healed. How do I heal further? Go deeper. Another layer of the onion. Will it ever be fully healed? Vision of lotus expanding almost explosively in my heart. Painful heart, but so much love and joy is possible. Glowing arms, reaching out. How do I resolve the loss? The loss is not my loss alone. It’s not my grandmother’s loss alone. 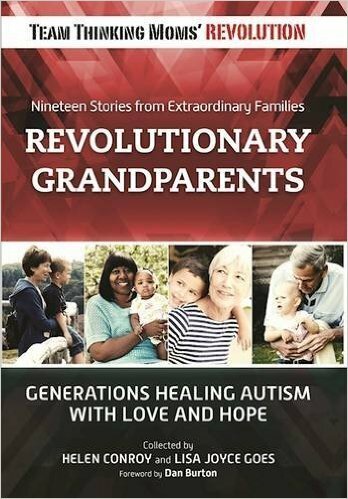 It’s this generation of mothers who are collectively losing their children to neurological damage, similar to their grandmothers and great-grandmothers who lost so many children through disease and poverty in the past. We are healing them all. All. No wonder it feels endless, bottomless, eh? No wonder you need to turn it off from time to time. I was a “wild” woman, elemental, connected to the earth, free. The world boxed me in, like kids’ minds today. They need the key to open the box. The key is healing the loss. The loss isn’t real, only the feelings are. The loss is about temporal, corporeal loss, not about energetic loss. The energy of mothers and children is ALWAYS there for them. ALWAYS THERE FOR THEM. You are at the center of a healing circle that encompasses the others, including Mother Nature. You can heal this world. Heal the division and loss, and the world will heal. The lotus at the heart of the onion expands and grows and brings light and love to all. Imagine the lotus expanding in your heart every day. That is the expansion of loving kindness in your soul. You have been afraid that nothing could be enough. You are enough. It is enough. I had such a deeply healing experience during the challenge—my heart literally stopped hurting that day—that I decided I was going to take Mallory’s class. As a single mom money is always an issue, so I was delighted when I won a half-scholarship for the class based on my participation in the challenge, and even more delighted when Mallory offered to give me the class for free if I would write a blog about my experience. The biggest reason I’m glad she made the offer is that I don’t think I would have dared to put this out there if she hadn’t, but it feels to me like the right thing to do. I think it’s time to build my grandmother’s healing circle. We have a lot of work to do. How about it? Will you take our hands and join Mallory and I for the Mother of All Healing Circles? To register for Mallory’s class Awaken the Healer Within: The Ultimate Guide to Trusting Your Mother’s Intuition, click here. If you register from here, tell her Professor sent you. 😉 Even if you can’t do the class, do yourself, your family, and the world a favor and try the free five-day challenge on Mallory’s Facebook group Soul Driven Healing. This entry was posted in Professor TMR and tagged healing, intuition, Mallory McClelland. Bookmark the permalink. I’m beyond pleased you wrote this blog! I so deeply respect your logic and research based posts, (evidence for the capable mind behind them) that this post actually holds MORE weight for then it might otherwise. Thank you for not only acknowledging the intuitive and energetic healers, but for stepping forward, grasping our hands, and joining our ranks. I find that a daily meditation practice has really developed my intuition, as well as created lovely synchronicities in my life. It was very hard at first to stop the chattering mind, but now, by just assuming the posture, I can quiet my mind. All beings are singing, communicating on a Deep level. We need to listen. We only use doctors for advice, and often don’t follow it! Another effect is much more tolerance and happiness in our family and daily life.